Muzzle energy 5.5 ft. lbs. 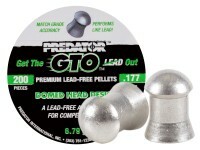 Do you need a lead-free option for competitive shooting or hunting? 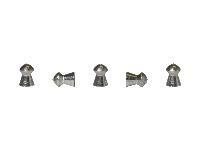 These lead-free pellets provide maximum velocity and the accuracy you’re looking for. You’ll enjoy improved drive in the barrel and no lead fouling, along with zero contact with lead due to the tin alloy composite material. Things I liked: Out of 110 tins... 33,000 pellets, Ive only managed to pull out 2 defective pellets which is pretty impressive, then again these things are dense! For accuracy, Ive been holding a 1-1.5 inch grouping at 35 feet with an occasional flyer using the Sig Sauer MCX. Using the MCXs shorter barreled counterpart, the Sig Sauer MPX the results are just about the same. About the flyers, there are very few and I think it might have something to do with the ware of the rotobelts themselves (plastic). Over a long period of time and heavy use the plastic gets just the slightest bit softer. The pellets still lock nicely into place but if you listen closely you can tell theres a difference by the noise it makes when punching the pellets in anyways the flu nice and true with the MCX and MPX. Things I would have changed: The price seems a bit much, $22.95 for 300 pellets. Although these pellets are awesome. 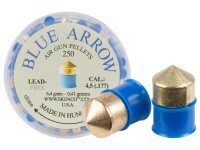 Id just up the pellet count to 500, that would make these pellets the ultimate buy! 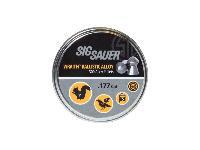 What others should know: The problem is, is that I use these pricey pellets for my semiautomatic air rifles (MCX/MPX). Every time I decide to shoot, thats 240-270 pellets = $18-$19...... Then theres the $7.50 CO2....... So every time I shoot these pellets with the MCX or MPX its $25.50-$26.50... HEY BRI, JUST SHOOT 4 MAGS AND SAVE THE CO2 FOR THE NEXT SESSION OR SWITCH TO CHEAPER PELLETS. See there lies the problem, once you crack that CO2 you cant leave it sitting in your rifle. I tried a few times and each and every time it turned the rifle into a $200 fire extinguisher.. As for using cheaper pellets? 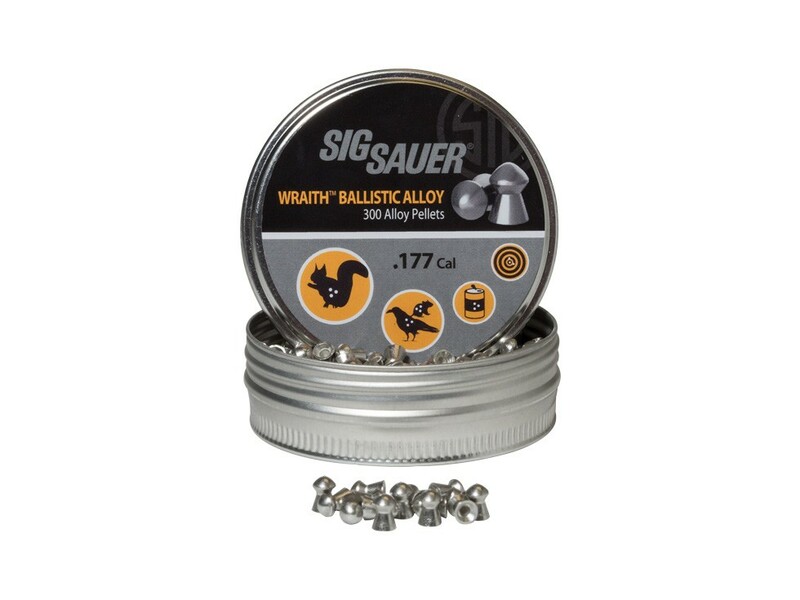 Well, there is another brand of pellets that get just as good results, but they literally sell for a measly dollar less than the Sig Sauer Wraith Ballistic Alloy Pellets. So yeah.... BE SAFE, WEAR EYE PROTECTION, KEEP YOUR AIRGUN POINTED DOWN OR DOWN RANGE AT ALL TIMES BECAUSE THERES NO SUCH THING AS AN UNLOADED GUN AND BE SURE TO HAVE FUN! Things I liked: Shots fast and accurate!!! What others should know: Sell in bulk at a cheaper price to allow customers to buy large quantities to save money. Things I liked: Shape fits pellet belt great. Smooth finish, fast and accurate! NO LEAD! Things I would have changed: More pellets for the cost. 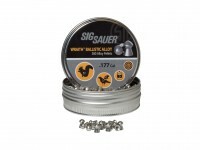 Has anyone tried these in a Sig 250 with a 16 round rotary magazine? 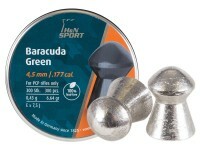 These appear to be re-branded H&N Baracuda Green pellets at a higher price. Is that correct?